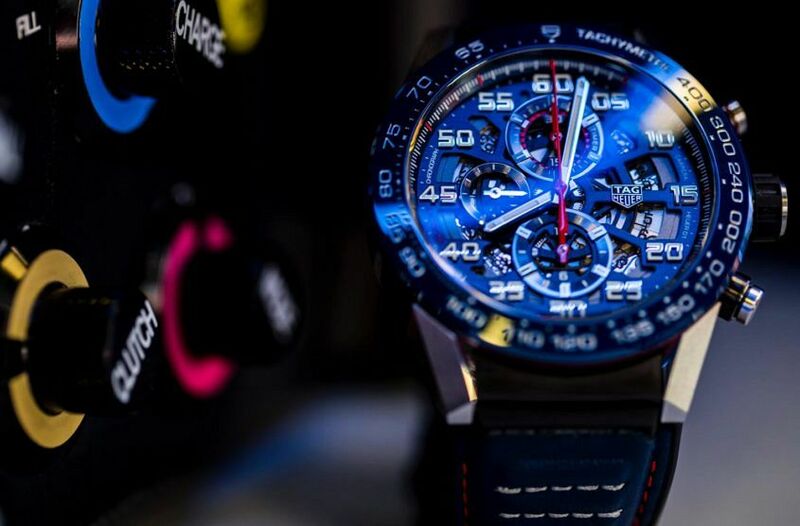 In the world of F1, where everything is measured in tenths, watches have long played an integral part. In fact, it may come as no surprise to anyone that Formula One teams and watch manufacturers often follow the same racelines, each striving for their own breed of ultimate performance mechanical machine. This year, with the Australian Grand Prix coinciding with Baselworld, we thought we’d look back at last year’s partnerships and the watches of F1. An F1 steering wheel for your wrist. 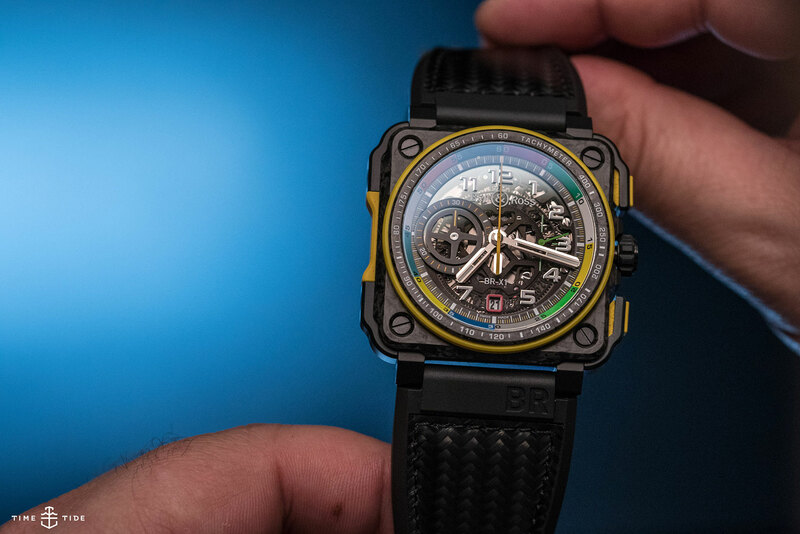 The BR-X1 was one of three releases made in collaboration with the Renault Sport Team, combining a hi-tech Carbone Forgé case with a colourful dial inspired by the layout and livery of an F1 tiller. Owners beware: don’t let your eyes linger when taking them off the road to check the time on this one. RRP $35,000, limited to 250 pieces. 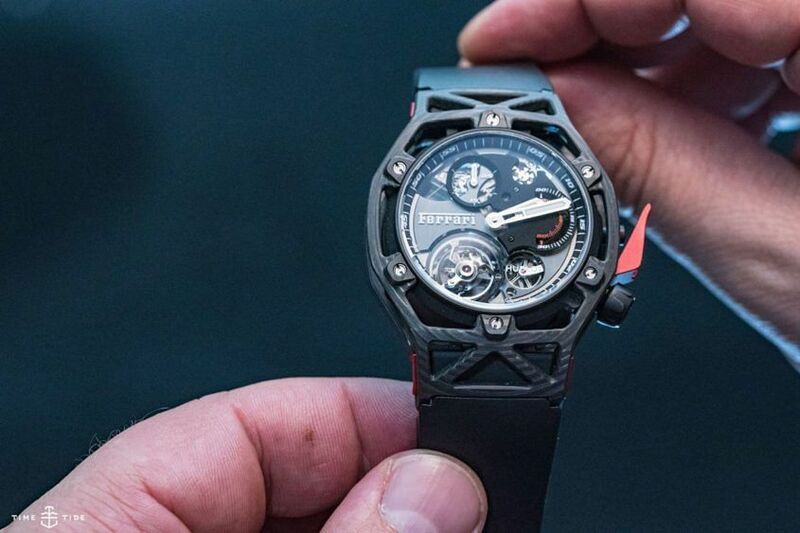 A lightweight chassis crafted in a lattice work of hi-tech materials, combined with a high performance state-of-the-art engine … no, I’m not talking about the latest supercar release from the prancing pony, but instead the Hublot Techframe Tourbillon Chronograph. “Designed by Ferrari, crafted by Hublot”, celebrating 70 years of Ferrari, this latest collaboration is available in titanium, King Gold, and PEEK Carbon. 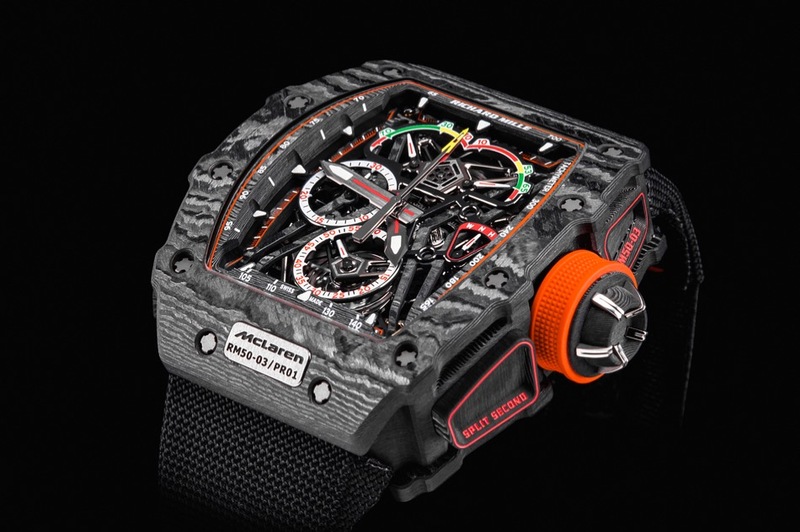 RRP $177,000 in carbon, limited to 70 pieces. Celebrating 50 years of Mercedes’ performance spec tuning house AMG, IWC released this flyback chronograph with a speed-inducing lightning bolt small seconds hand and an exhibition caseback displaying the AMG carbon ceramic brake disc-inspired antimagnetic soft-iron cage. While Lewis Hamilton and Valtteri Bottas usually sport gloves printed with Big Pilots, this Ingenieur seems a far better fit to me. RRP $17,100, limited to 250 pieces. Decked out in the colours of the Red Bull Racing team of dark blue with red accents, there’s more to this partnership than just this 45mm Heuer 01 Carrera. Look under the car’s hood, or rather behind drivers Daniel Ricciardo and Max Verstappen, and there’s a TAG Heuer-branded 1.6L V6 turbocharged Renault engine. RRP $7500. The first watch released in what will be a 10-year partnership deal for Richard Mille and the McLaren F1 team. Thanks to a case crafted from titanium and carbon injected with graphene, this is the lightest split seconds chronograph ever made – weighing less than 40 grams. A literal racing machine for your wrist, and cheaper than buying an F1 car … if maybe only just. 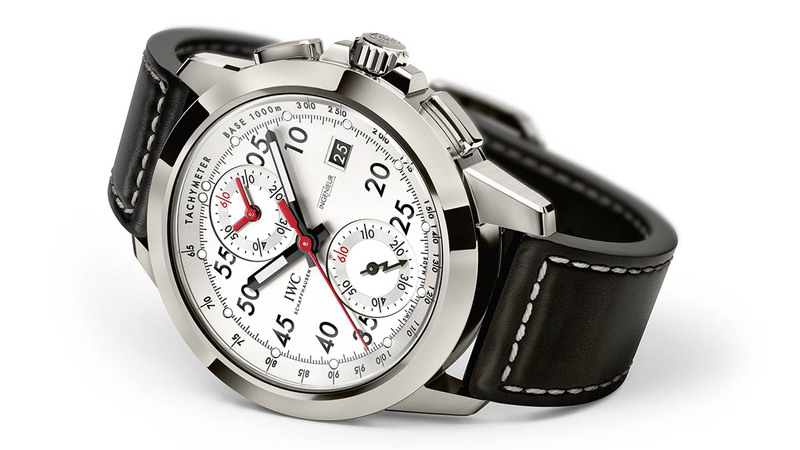 RRP 980,000 CHF, limited to 75 pieces. Oris have been producing watches for the Williams F1 team since 2003, making it one of the longest-running partnerships in Formula One, and certainly the longest for a watch brand. With last year marking 40 years of Williams’ Formula One participation, Oris looked back to one of their ’70s racing classics, putting the chrono back in Chronoris and releasing this limited edition. RRP $5500, limited to 1000 pieces. 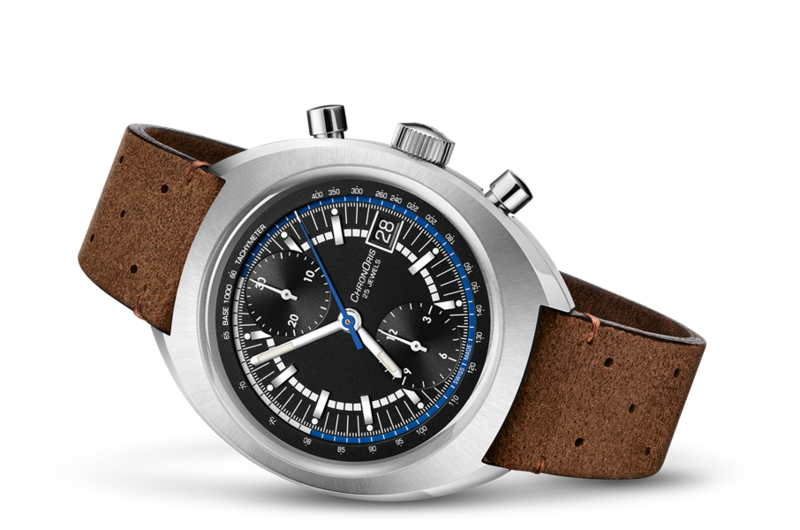 By now I’m sure you may have noticed a theme developing throughout this list … chronographs. This one is a little different though. 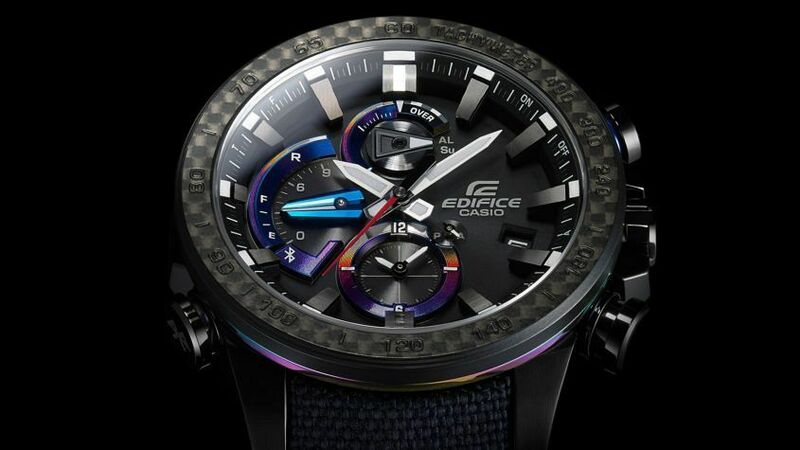 It’s solar-powered and links to your smartphone via Bluetooth, enabling it to sync time anywhere in the world, store lap/split times, and through the Casio Watch+ app you’re able to select what race track you’re on and race against your target time. RRP $999. 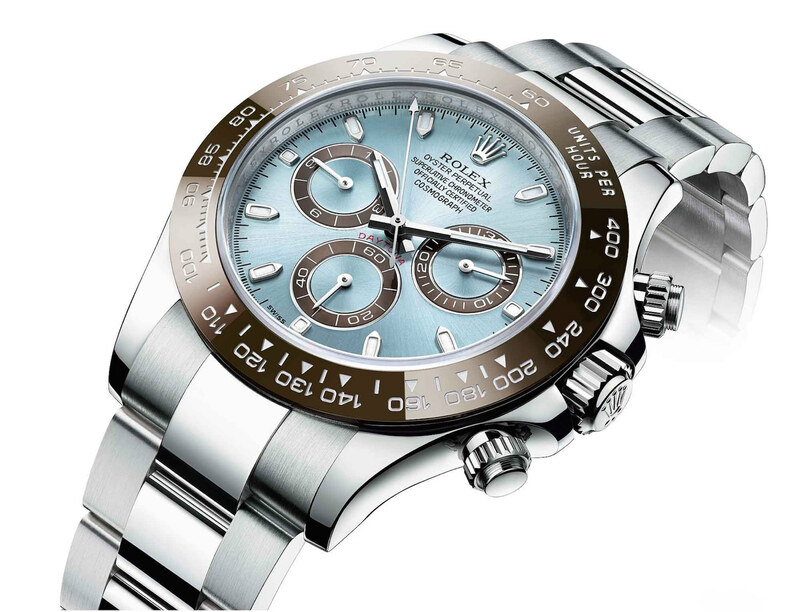 As title sponsors of the Australian Grand Prix, we would be remiss to not mention Rolex. In a sport where fast cars and big personalities are fuelled by massive amounts of money, what better pick than the watch named after a race track, and then crafted from the noblest of metals, platinum. RRP $94,950.